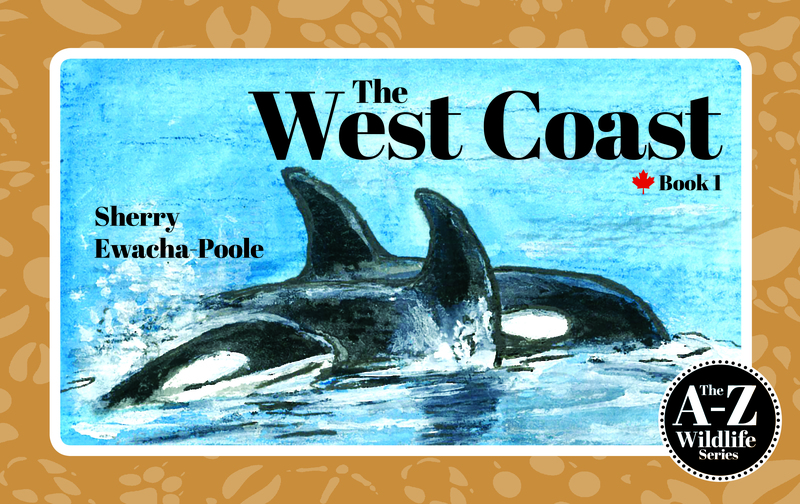 Sherry Ewacha-Poole is a Victoria teacher, artist, illustrator, and author, but more than anything else, she is a person who loves animals. 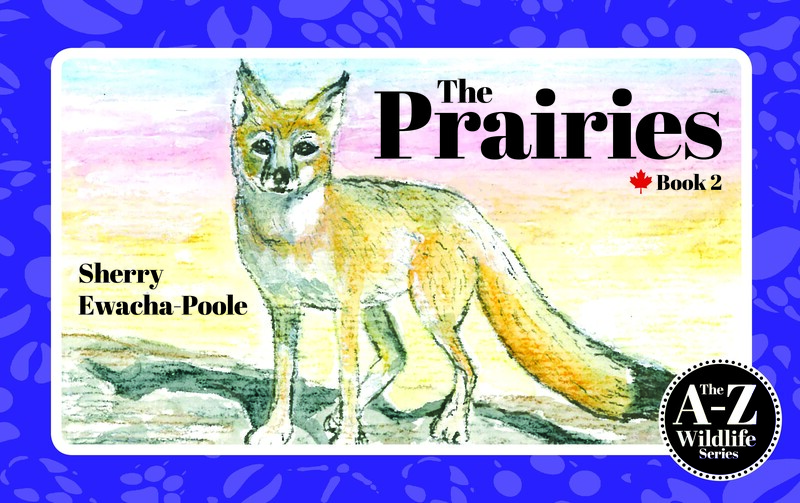 That devotion to wildlife was the impetus for the five-volume set of children’s books Ewacha-Poole has authored and illustrated, just in time for distribution during Canada’s sesquicentennial. 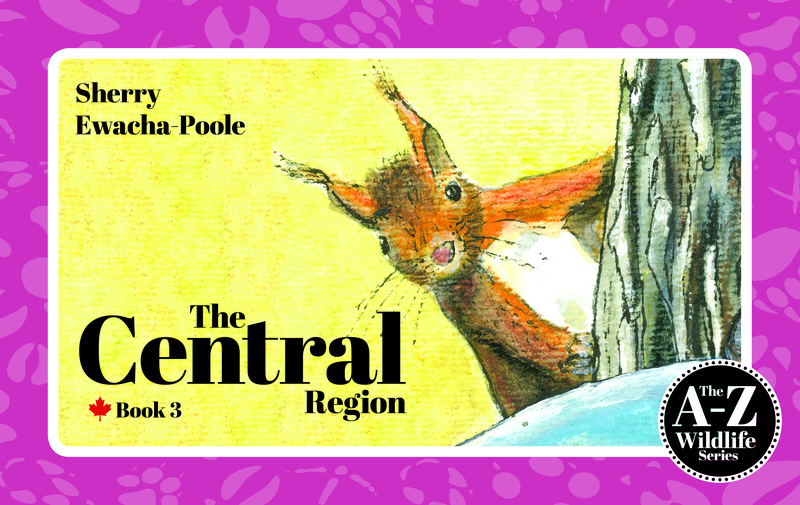 “We are so fortunate in this country to have so many and varied species, and I think a perfect way to celebrate our country’s 150th birthday is to honour the creatures I’ve highlighted in my books, and to raise awareness about how lucky we are to still have this natural diversity,” said Ewacha-Poole, whose illustrations bring the featured animals to life on every page. 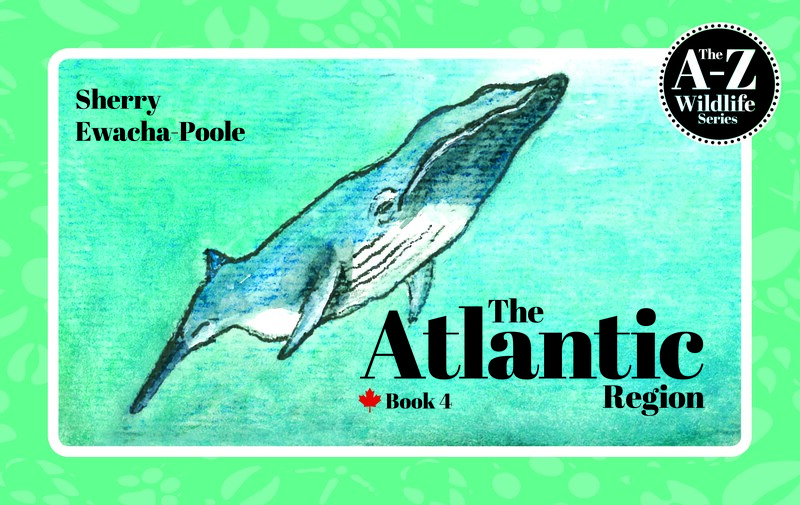 The five books are divided along regional lines with each dedicated to one of Canada’s main geographical areas (the Prairies, the Northern Territories, the Central region, the Atlantic Coast and the West Coast). Each book is structured as an A-Z primer of animal life in that region so, for the West Coast, “C” is for cougar, “O” is for otter, and so on. 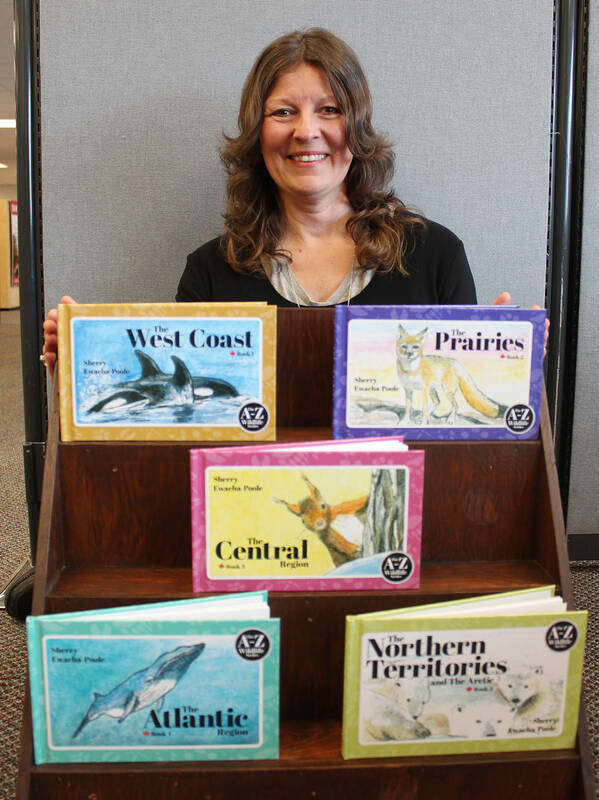 In keeping with her teaching background, Sherry geared the books for elementary school children but has seen interest expressed by three year olds and adults as well. Her wish is to see the books made a part of every elementary school library in the country. She has already donated 50 sets of books to start that process and has sold and received orders for nearly 1,000 more. “Compassion and concern for our wildlife starts with knowledge and awareness, and if these books can raise that awareness, then I have accomplished what I set out to do,” she said. The next project for Ewacha-Poole is another set of books featuring wildlife, this time based on a theme of animals of seven continents. It’s her hope the series will raise awareness of the wonder and fragility of the natural world. 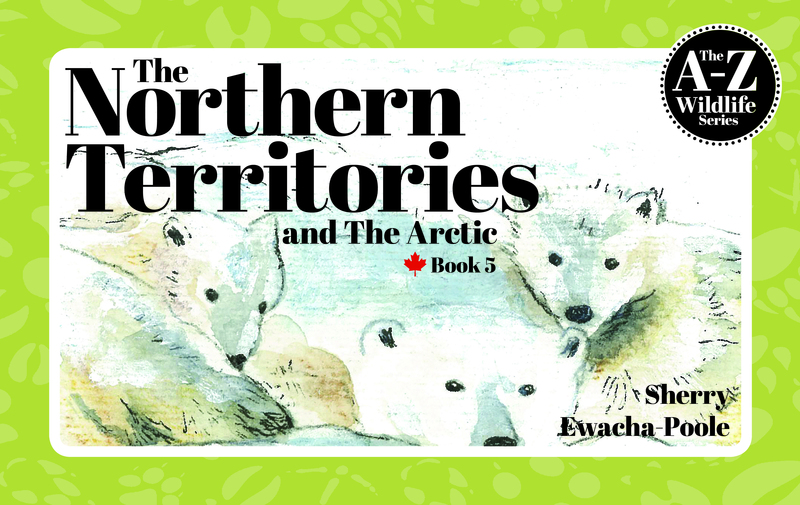 The five-book set is available at http://www.wildlifematters.ca or at the James Bay Market. A portion of the revenue from book sales will be donated to organizations with wildlife preservation mandates, like the Island Marmot Recovery Centre on Vancouver Island. The beaver is North America’s largest rodent, weighing up to 60 pounds and although muskrats are sometimes mistaken for beavers, the latter is easily recognized because of its broad, flat, scaly tail, as opposed to the muskrat’s skinny rat-like tail. Their hind legs are webbed for easy gliding in water and comb-like claws aid in grooming. Their tail is used for steering while swimming and also is used to brace themselves when standing upright on land. It’s also handy to warn its family of danger by slapping it against the water. Their soft, lustrous fur keeps them warm and easily repels water. Beavers have an obsession with running water and feel compelled to dam it up. One of the most unique features of beavers is their incisor teeth, which continually grow throughout their lifetime and therefore they must constantly use them to wear them down or they would become overgrown. Razor sharp, they can chew through trees at an amazing pace to fell even the largest trunk. They then drag branches with their teeth and front paws into the water to push them into the creek bottom, gradually building up a wall packed with mud. So how do beavers carry mud? They will use their front paws holding a large mound dug from riverbanks, walking on their hind legs to carry it to their dam where they pack it in amongst the beautifully woven cache of sticks. One in ten black bears is pale, and to produce pale cubs both parents – white or black – must carry the gene that results in the white or cream-coloured coat. The bears play a key role in the ecosystem, contributing to the growth of the forest by spreading marine nutrients. They carry salmon carcasses deep into the forest where they are absorbed by the forest floor and the nutrients from the ocean are effectively transferred to the trees.